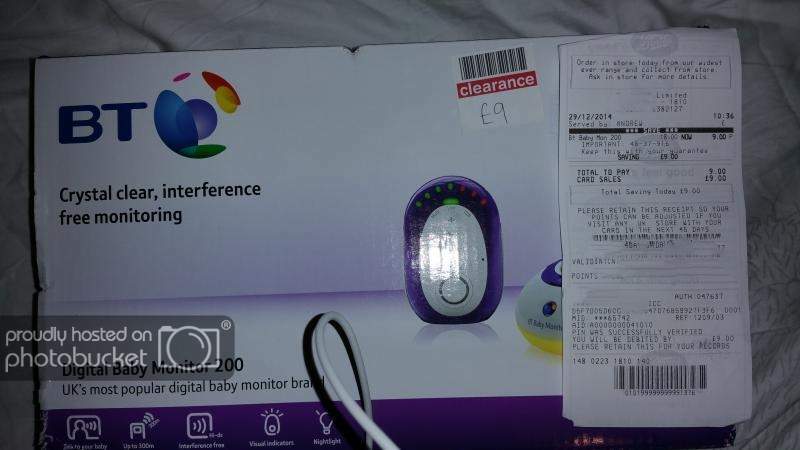 Found this today in Boots - a BT Baby Monitor 200 that was up for £9. Not a video monitor but this has 2 way communication so a good alternative. it is the cheapest. but probably nobody else can find it. because it is old stock, radom offer. Hot but maybe store specific, which store did you manage to get this from please. it is the cheapest. but probably nobody else can find it. because it is … it is the cheapest. but probably nobody else can find it. because it is old stock, radom offer. Hot but maybe store specific, which store did you manage to get this … Hot but maybe store specific, which store did you manage to get this from please. Was it just the one? Or a shelf full? I don't think anyone cares for your respect. Voted cold btw. These are ace. Very clear sound and great range. We'd be lost without ours. Amazing price too! These are ace. Very clear sound and great range. We'd be lost without … These are ace. Very clear sound and great range. We'd be lost without ours. Amazing price too! Excellent price. Even though I don't need the product, I recognise it's a very good good price for a good product. I have this and happily paid full price. Old stock or not, it does the job. Good find. We have the higher model with the lightshow and audio player. Works great. I cant find it online, so which branch?? 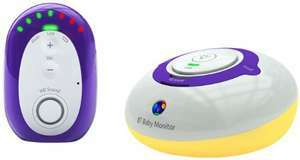 All I need now is a digital baby to monitor - aren't they a bit like a Tamagotchi? This is which recommended product with a top rating this is a bargain price, i hope i can get one as i only need a monitor! Well my bad not this the "200" model but the "300" is!! google won't tell you which store has stock. spending hours phoning all the stores in the city is not worth. so cold. but it is the cheapest price and you were lucky. but hardly anyone else benefit from this post. 19.99 in my local boots (Lisburn/spruce field) - which is still a great price. Just bought the last one. 19.99 in my local boots (Lisburn/spruce field) - which is still a great … 19.99 in my local boots (Lisburn/spruce field) - which is still a great price. Just bought the last one.